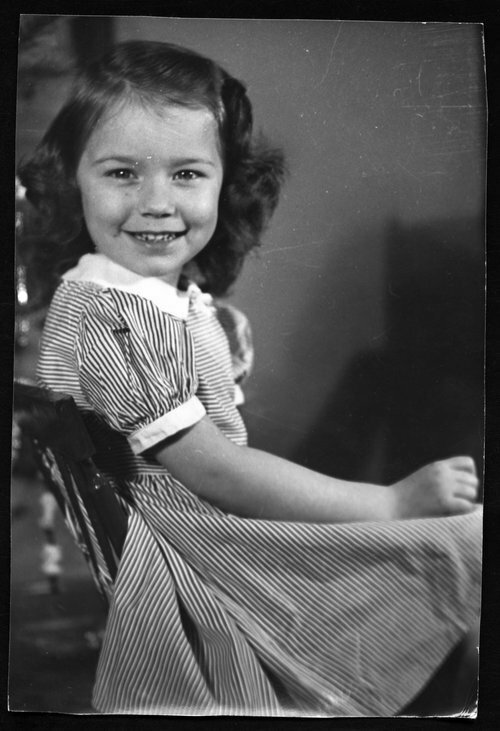 Two photographs of Cynthia Tilson, daughter of Mr. and Mrs. Bill F. Tilson, Atchison, Kansas. She grew up in Atchison, Kansas, graduated from Atchison High School and Washburn University with a B.A. degree in home economics. Cynthia taught home economics at Jardine Middle School in Topeka, Kansas from 1969-1971. She returned to Washburn University in 1981-1982 and received her certification in Vocational Home Economics Education. In 1984-1985 she was a job placement specialist for chronically mentally ill and severely disabled persons of the Kansas Elks Training Center for handicapped Projects With Industry. Later in 1985, she took a job placement specialist's position with the Menninger Return to Work Center. In 1987 she received the outstanding Kansas Job Placement Specialist by the Kansas Job Placement Division of the Kansas Rehabilitation Association. In 1989 she was named to the National Distinguished Service Registry. Cynthia is married to U. S. District Court Judge Richard Dean Rogers.